We're delighted to announce that we can now sell our very own cycling kit, modelled here by the most magnificent Sean Lacey from Greenrock's support staff. 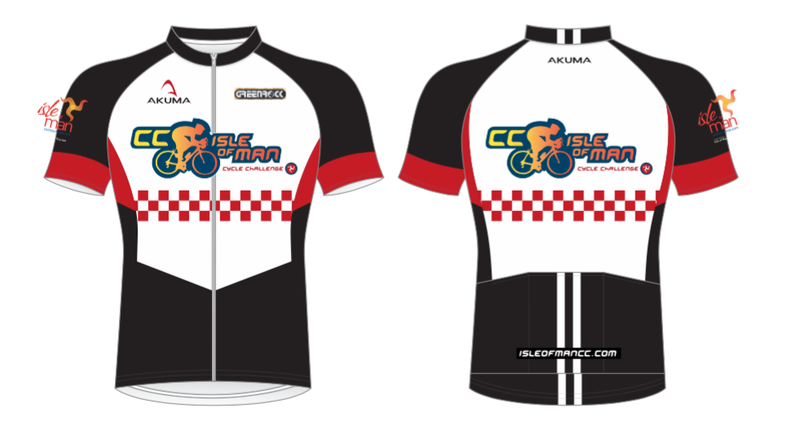 The Isle of Man CC cycling jersey has been designed using soft, lightweight breathable bamboo blended fabric to be as comfortable as possible. Product features include a soft silicone elastic gripper to hold the jersey in place, IQseen® reflective piping, raglan sleeves, three rear pockets and full zip. Sizes range from mens XS to 2XL and from ladies size 6 to size 16. The Isle of Man CC bib shorts are designed for maximum comfort and performance using top quality chamois with high-density, multi-layered foam with perforations for increased wicking capabilities. Flatlocked seams are positioned carefully to offer fantastic support with no chafing. The ladies cut also gives a flattering silhouette.